Wrist watches have long been on the way to obsolescence, sent there by our feature and smartphones, but not the luxury kind, which are status symbols. 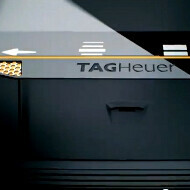 Still, Swiss watch maker Tag Heuer doesn't want to stay behind with the times, and is prepping a rugged luxury (oxymoron?) 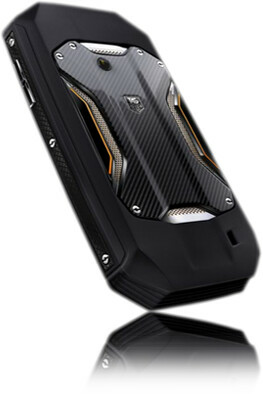 Android handset, called the Racer. Tag Heuer says the Racer is inspired by the GT cars and Formula 1 racing for the exterior materials, which include carbon fiber panels on a shock-resistant rubber shell with titanium detailing. The firm's mum on the silicon used - it says only a "high speed processor" with the "latest Android software" and a 3D user interface, so at least dual-core and Ice Cream Sandwich should come standard. The Racer portfolio includes other models and is expected to launch in July, starting from $3690. Rugged luxury don't come cheap, eh? Tag Heuer is no rookie when it comes to luxury phones, as confirmed by last year's MERIDIIST Indonesian snake skin featurephone, or the LINK smartphone in your choice of stainless steel, gold, calfskin leather, with lizzard and alligator skin accents. Compared to the LINK's $6700 last year, the Tag Heuer Racer looks like a true bargain. sooooo we spent all this money on the outside whats on the inside a super computer? with this being android and for that price the way android changes it should be a phone that can work seemlessly for YEARS!!! you're proud to be an android fan because there is an expensive phone for just about all the OSs?? vertu is going to die now.unless they get wp8...NOW! I've always loved Tag.. they make great watches. :) Now.. I'd NEVER EVER spend this kind of money on a phone.. but if I had some kind of aneurism or mid life crisis and just HAD to do it.. I'd definitely get something like this over a Vertu! No, they don't: they just stick cheap movements in an average material bezel then sell the product with at least 1-2k euros more than it's worth to stupid people that don't know sh*t about watchmaking. They didn't even turn the thing on. Waste of time looking at this promo. Looks sweet, but it should have flash for it's camera. It looks like the Casio Commando and the Droid Razr had a kid... totally worth my 4 grand lemme tell ya... my car was less than that.. sad to see we live in a world with a 4000$ phone. Just a little ridiculous.